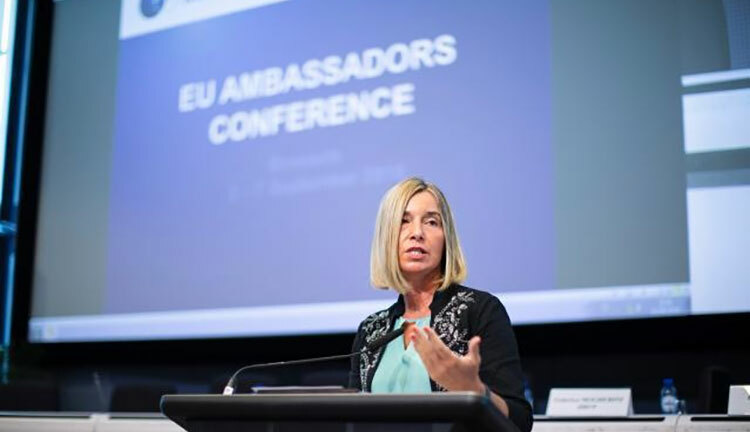 In the opening speech at the annual EU Ambassadors Conference 2018, High Representative/Vice-President Federica Mogherini said that she believes there is a realistic change of Belgrade and Pristina reaching an agreement to normalize their relations soon, adding that she feels that it is time to finally end the conflict. “We must continue with determination, perseverance and let me say stubbornness – our work in and with the Balkans. Last year was incredibly intense, but the coming months will be even more decisive. I believe there is a real chance that Presidents Vučić and Thaçi can reach an agreement that addresses all open issues between Belgrade and Pristina; a comprehensive, legally-binding agreement to normalise relations between the two sides; an agreement that is fully in line with international law and that can help stabilise the entire region”, Mogherini told EU member state ambassadors in Brussels. Mogherini recalled that the 20th anniversary of the Kosovo war is next year. “I believe it is time to finally end that conflict. I believe that we have to do everything we can together with our partners in Europe, the region and on the international scene, starting from the UN Security Council, to support the negotiations through dialogue and within the international community,” she said. “Just before the summer we celebrated together the agreement between Athens and Skopje, and in just a few weeks’ time there will be a referendum on it, in what I hope will become the Republic of North Macedonia. It will also be an intense year for preparations towards the opening of accession negotiations both with this country and with Albania. Let me say very clearly: these opportunities have to be taken now – this year is the year. It is not a concession we make: it is in the interest of the European citizens, both inside and outside of the European Union. In the Balkans, it is today very clear that the European Union is the point of reference. And let me say to all those that fear other powers being more and more present in the region: whenever we are present in the region, there is no space for others” said Mogherini.